A simplified Start menu, Windows Sandbox, Kaomoji and more are rolling out to the Insider Preview Fast ring in the latest 19H1 build. Build 18305 is available to download now from Windows Update. Microsoft has announced today that it has released build 18305 to Insider Preview Fast ring, which brings a host of changes and updates. The company has picked up the pace with its Windows 10 19H1 builds, having released Build 18298 just last week. Microsoft has refined the Start menu to give it a more simplified look. 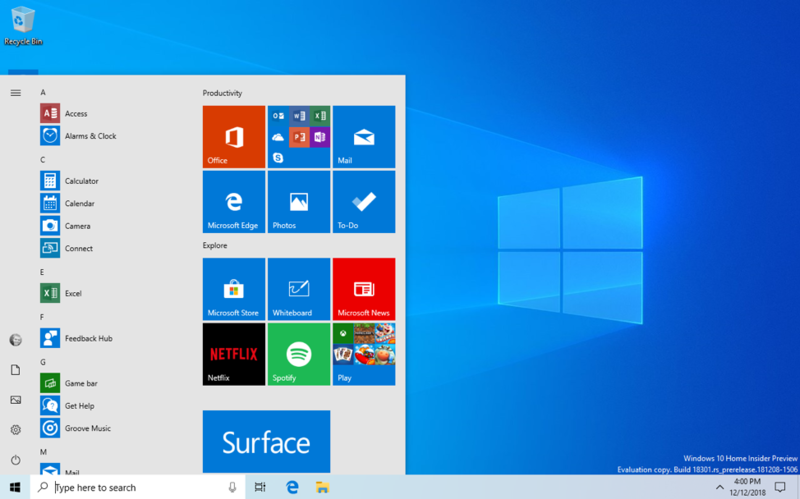 The Start menu will now default to a one-column design with reduced top-level tiles for new devices, user accounts and installs of Windows 10. 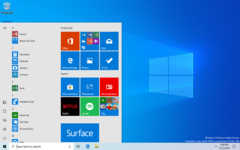 Microsoft stresses that your start menu will not switch to the new layout when upgrading to Build 18305 because they "want everything to be exactly as you left it before you did the update". You can switch the slimmer Start menu in Settings though. Build 18305 also integrates Windows Sandbox, which we have covered in detail in a separate article. Moreover, the new Build adds kaomoji, which we are sure will make some people feel (o^▽^o). Clipboard history has gotten a UI update too with Microsoft shrinking the height of each entry to limit excessive scrolling. Finally, Microsoft has made it easier to reset a PIN, which now should look like signing into a Microsoft account on the web for Windows 10 Home Users. There are also plenty of known issues, which is typical for early Insider Builds. Please see the Windows Blog for a full list of fixes, issues, improvements and updates that Build 18305 brings.